Roger Bennett’s bowls and vessels are wonderfully distinctive: unexpectedly light, delicately coloured, sparkling with points of silver or gold. He usually chooses the paleness of sycamore, a perfect canvas for colouring with water-based wood dyes. Bennett inlays with precious metals, painstakingly inserting silver or gold wire into hundreds – sometimes even thousands – of individually-drilled holes; the patterns created range from ‘controlled random’ concentrations to flowing, spiralling lines. His signature shape is like an inverted cone, with the rim flaring out gracefully from a narrow base. 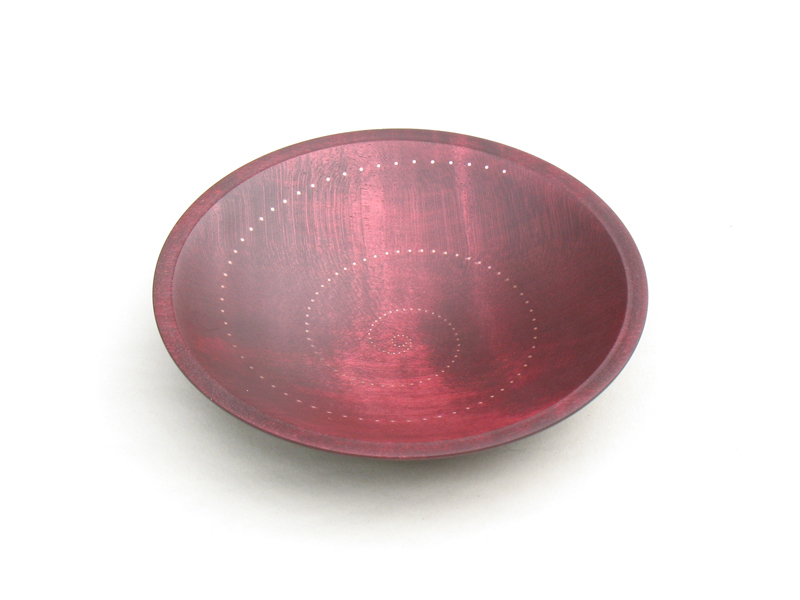 Some of his bowls are in a more traditional concave shape which fits snugly in the hand: these are filled with dots of silver which glow and fascinate like constellations of stars in a night sky. 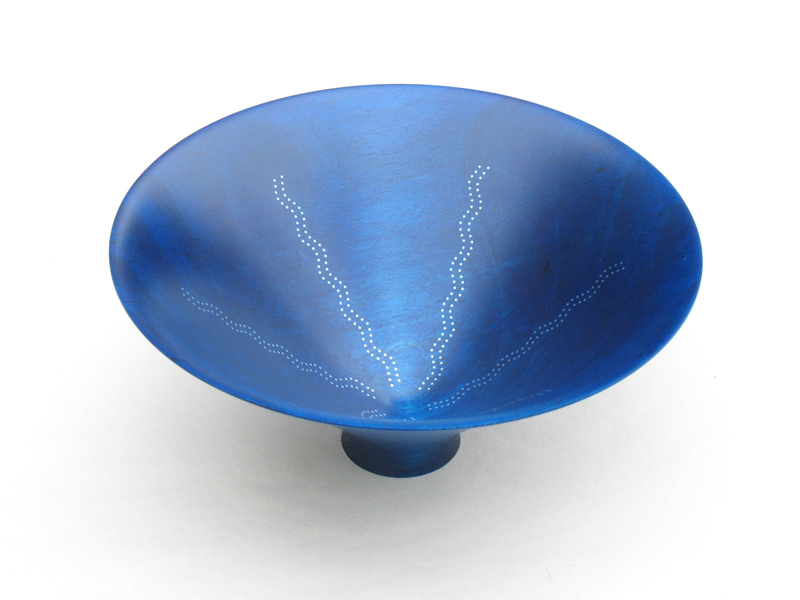 Roger Bennett began woodturning in 1992, after working for several years as a teacher of English and French. He is a graduate of Trinity College, Dublin. 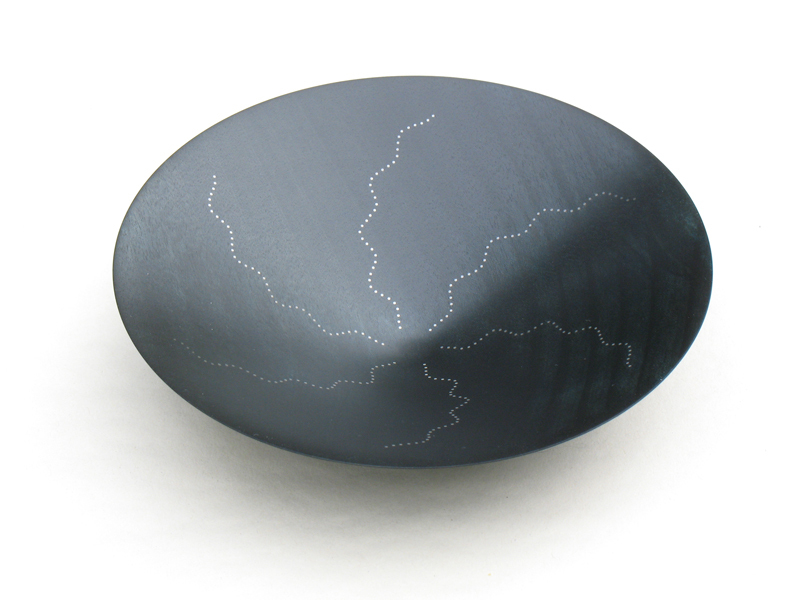 Bennett’s work has been shown in several international fairs including SOFA Chicago and Origin at the London Craft Fair.